Unlike any other organization, we bring children onto university campuses as a part of our Academic Mentoring Program. 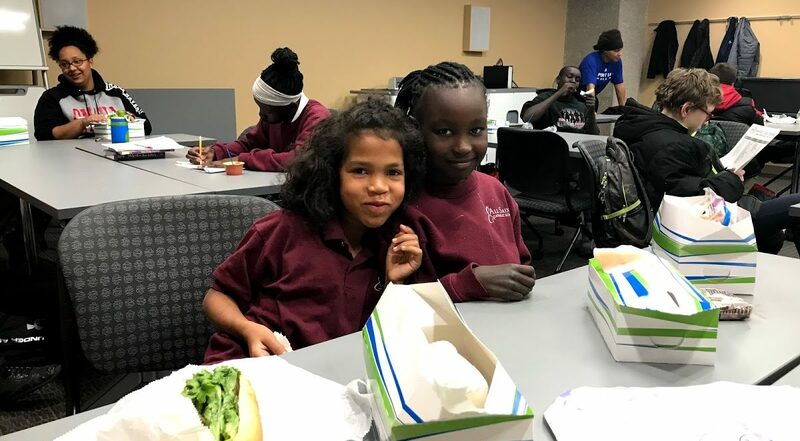 Since 2010, SAVE has partnered with Creighton University’s Intercultural Affairs Department in order to set up each participant with an individual tutor, committed to being there every other week to monitor that child’s needs. In January 2015, SAVE launched it’s partnership with the University of Nebraska Omaha’s Office of Multicultural Affairs. Starting in September 2016, SAVE joined efforts with Bellevue University in order to serve additional youth in the area. Starting in Fall 2018 SAVE partnered with Metro Community College to provide further opportunities for our students to learn about the different options available to them after high school.